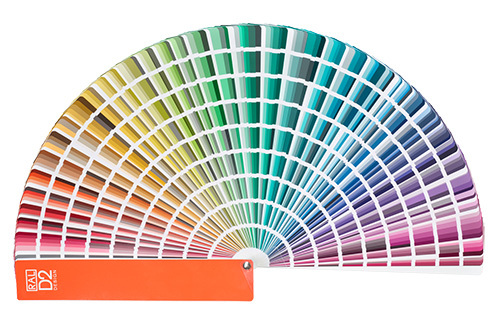 The RAL Design System with its 1,625 RAL colors is the perfect basis for professional color design. The seven digit RAL codes are organized systematically in Hue, Lightness and Chroma values. They open up the available color space to the creator. 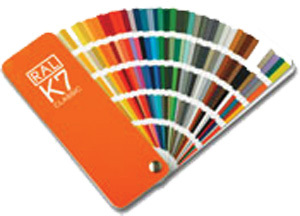 Color samples 0.79" x 1.18"
The RAL Classic color collection with its 213 colors is indispensable in many areas. Many products are internationally available in these colors. 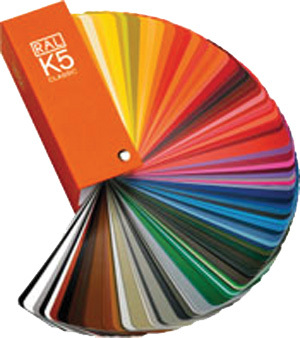 RAL colors with four digit numbers will continue to be important for color decisions in the future. Full page color patches 1.97" x 5.12"
Size 1.97" x 5.91" & Color samples 0.79" x 1.97"